We have all heard that a high white blood cell count can lead to serious health conditions, but how do these essential blood components work? Why is it important to know our white blood cell (WBC) count and how does it affect our bodies? We will answer these important questions and explore home remedies that may help you combat a high WBC count. White blood cells, also known as leukocytes, fight infection caused by bacteria, viruses, and other foreign matter that have entered or been produced in our body. These cells form in the bone marrow and are necessary for a healthy immune system. We produce approximately 100 billion white blood cells each day. The body stores white blood cells in the blood and lymphatic systems, and a high count indicates inflammation. WBC counts may also be raised when we are under emotional or physical stress. White blood cells are one of the three types of blood cells produced in our body, distinguished from red blood cells and platelets by their nuclei. There are five main types of white blood cells. 1. Lymphocytes aid in fighting various infections with the production of antibodies. Bacterial and toxic infections are targeted by the lymphocyte B cells while lymphocyte T cells respond to viral or cancerous infections. 2. Monocytes focus on the bloodstream and tissue within our body to ward off infections. As the largest member of white blood cells, monocytes travel to various parts of our body including organs to eliminate harmful matter. 3. Basophils secrete anticoagulant heparin to prevent rapid blood clots and vasodilator histamine to stimulate blood flow to target allergen substances. 4. Neutrophils are the first cells to attack bacterial and fungal infections by releasing powerful enzymes. 5. Eosinophils cause your allergic reactions and are responsible for ridding the body of parasites and cancer cells. Traveling through the bloodstream, eosinophils settle in the intestine, stomach, heart, lung, esophagus, and skin tissue. It is important to note that the “normal” range for white blood cell count varies. The WBC count test is not a diagnostic tool and is only used to gauge abnormal levels of white blood cells. It is conducted in conjunction with a complete blood cell test, known as CBC. A high count indicates the presence of inflammation in the body. Because white blood cells are calculated by the number of cells per volume of blood, test results can vary between labs. Different labs use different degrees of measurements for the white blood cell count. The fact that one person’s normal count can be different than another person’s normal count is also taken into consideration. Your white blood cell count can be affected by race and any existing health condition. However, the general consensus is that a normal range is between 4,500 to 10,000 white blood cells per cubic millimeter. Any WBC count higher than 11,000 white blood cells per cubic millimeter is considered high. This can be compared to prior blood test results of the patient. The white blood cell types show distinct causes for their high levels. Monocyte levels can rise to indicate an autoimmune disorder, blood disorder, chronic infection, or cancer. Lymphocyte levels may increase due to a virus, infection, or cancer. This is known as lymphocytic leukocytosis and can produce tuberculosis, lymphomas, or leukemia. High levels of basophil can usually be seen in those with hypothyroidism, inflammation bowel disease, asthma, varicella, chronic myelogenous leukemia, or chronic sinusitis. Neutrophil levels can increase from an infection, inflammation, an injury, leukemia, or even due to some medications. This is referred to as neutrophilic leukocytosis. Increased levels of eosinophils are the result of an allergen presence, asthma, or parasitic infection. When these high levels are present for more than six months with no evident cause, it is referred to as idiopathic hypereosinophilic syndrome. This rare condition can result in inflammation and organ failure. There may be natural ways to maintain a healthy white blood cell count and ensure your overall well-being. Nutrients found in many fruits, vegetables, and proteins have been linked to white blood cell production. Antioxidants are powerful fighters against harmful substances. They directly target the free radicals, uncharged molecules that are said to attack our cells, essential proteins, and even our DNA. Promote a healthy level of white blood cells with daily intake of grapes, onions, leeks, garlic, and tea. Stimulate the functional backbone of white blood cells known as phagocytes with omega-3 fatty acids. You may be able to fight infection and maintain regular WBC counts with sources like salmon, herring, and trout dishes. Enjoy walnuts and flaxseed in your daily diet as well. 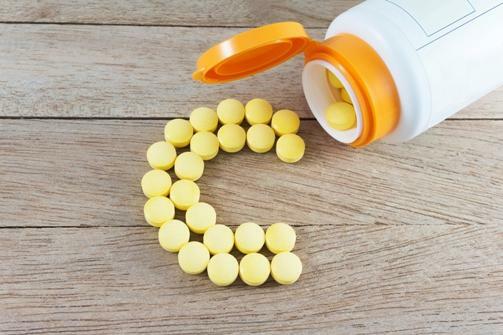 While scientific evidence is limited, vitamin C (ascorbic acid) is commonly touted as an immune system booster and may help regulate the production of white blood cells. It may also stimulate the antibody interferon, which can prevent harmful substances from penetrating healthy cells. Make sure to get 200 milligrams daily from your diet of fruits and vegetables. Enjoy lemons, lime, pineapples, oranges, berries, cauliflower, bell peppers, and carrots. White blood cells are a major part of our body composite. 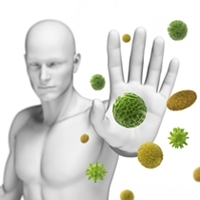 Having an essential number of cells to fight bacterial and viral infections is key in maintaining overall health. A high white blood cell count may indicate infection and an increased risk for serious health conditions. You may be able to maintain healthy levels and even lower high white blood cell counts by incorporating essential vitamins and nutrients into your diet. 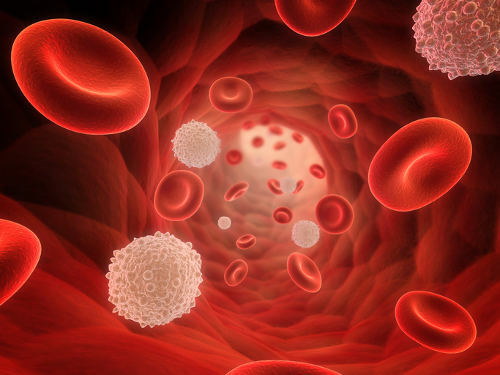 Smith, L., BSN, MSN, CRNP, “High White Blood Cell Count: What are the Causes?” Medical News Today, January 11, 2017; http://www.medicalnewstoday.com/articles/315133.php, last accessed February 27, 2017. “White Blood Cell (WBC) Count,” Very Well; https://www.verywell.com/white-blood-cell-wbc-count-1942660, last accessed February 27, 2017. “Medical Definition of Lymphocyte,” Medical Net; http://www.medicinenet.com/script/main/art.asp?articlekey=4220, last accessed February 27, 2017. “High White Blood Cell Count,” Mayo Clinic; http://www.mayoclinic.org/symptoms/high-white-blood-cell-count/basics/definition/sym-20050611, last accessed February 27, 2017. “High White Blood Cell Count: Causes & Treatments,” Med Health; http://www.med-health.net/High-White-Blood-Cell-Count.html, last accessed February 27, 2017.